To download the original press release from the City of North Myrtle Beach, please click here. Shown left to right in the accompanying photo are SCWF Executive Director Ben Gregg, Mayor Marilyn Hatley, and SCWF Board Chair Dan Scheffing. 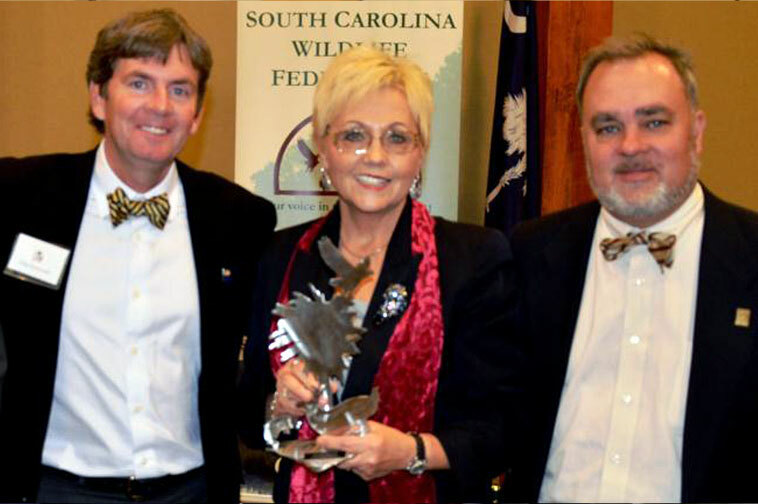 North Myrtle Beach, SC – North Myrtle Beach Mayor Marilyn Hatley, City Councilman Greg Duckworth, and North Strand Coastal Wind Team member Monroe Baldwin attended the February 1 South Carolina Wildlife Federation’s (SCWF) 48th Annual Conservation Awards Banquet to accept the Government Conservationist Award. 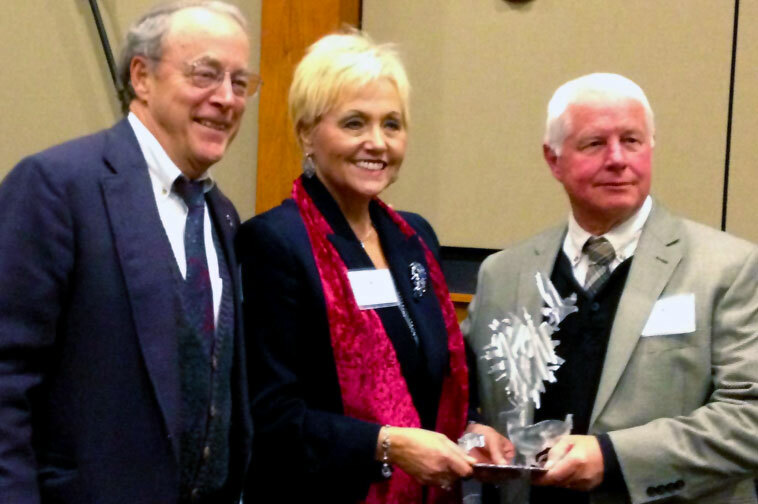 The award presentation description noted that the North Strand Coastal Wind Team (NSCWT) is a grassroots group of organizations, businesses and individuals in and around North Myrtle Beach implementing education and advocacy efforts to promote wind energy development. With strong representation from numerous conservation organizations and municipalities, the Wind Team has had strong leadership from City Councilman Greg Duckworth, Economic Development Chair Monroe Baldwin, Chamber of Commerce member Marc Jordan, and Coastal Carolina Professor Paul Gayes. Shown left to right in the accompanying photo are Councilman Greg Duckworth, Mayor Marilyn Hatley, Monroe Baldwin of the North Strand Coastal Wind Team. As a result of the Wind Team’s advocacy, the City of North Myrtle Beach has declared itself a demonstration city for renewable energy and has dedicated itself to attracting renewable energy businesses and installations.